Every December Science, the magazine published weekly by the American Association for the Advancement of Science and ranking among among the most prestigious of scientific journals, publishes its list of the “Breakthrough of the Year”, and it affords us one last opportunity to look back on a few of the major developments we have discussed in 2010 . As one might expect from a general science journal, breakthroughs in the biosciences were accompanied by those in other fields, with the top place going to the development of the first quantum machine, a breakthrough that heralds a revolution in our understanding of quantum mechanics. Among the runners up were two breakthroughs that we have covered on Speaking of Research in the past year, the successful clinical trials of HIV Prophylaxis and the return of the rat to the biomedical laboratory. Science identified two successful clinical trials of new HIV prevention strategies, the first involving the use of a microbicide gel containing the anti-HIV drug tenofovir to prevent male-to-female transmission of the virus, and a second in which the drug Truvada, a combination of tenofovir and emtricitabine, was used to prevent male-to-male transmission. Back in July we discussed how research in monkeys had facilitated the development of the microbicide gel, while in 2009 Dr. Koen Van Rompay of the University of California at Davis wrote about the important role played by primate research in the development of pre-exposure prophylaxis for HIV, including the combination of tenofovir and emtricitabine used in the clinical trial reported in 2010. Neither approach is a magic bullet, AIDS researchers say. 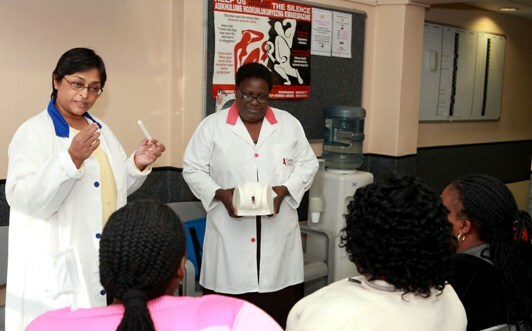 But in combination with other measures, they could usher in a new era of HIV prevention. Science has also noted the return of the rat as a model organism of choice in biomedical research, after decades of being eclipsed by its smaller relative, the mouse. This development has been due to a series of breakthroughs which have enabled scientists to manipulate the genes of rats, just as they have for years in mice. Back in August we discussed how scientists at the University of Cambridge and the University of Southern California had discovered a way to grow rat embryonic stem cells in vitro, allowing them to alter the genetic make-up of their cells, and how scientists at SAGE Labs developed a zinc finger nuclease technology that can be used to delete, modify or replace specific genes in the rat. A recent article in the Boston Globe reports that the Michael J. Fox Foundation has joined with SAGE Labs to develop a rat model of Parkinson’s disease, evidence if any were needed of the high expectations that neuroscientists have for GM rats. This isn’t to say that the laboratory mouse has had its day, as noted in our article in August GM mice are playing a vital role in uncovering the secrets of the genome, while the Michael J. Fox Foundation recently reported how research on mice had allowed their scientists to discover a promising new way to treat Parkinson’s disease. Coming soon to a lab near you? 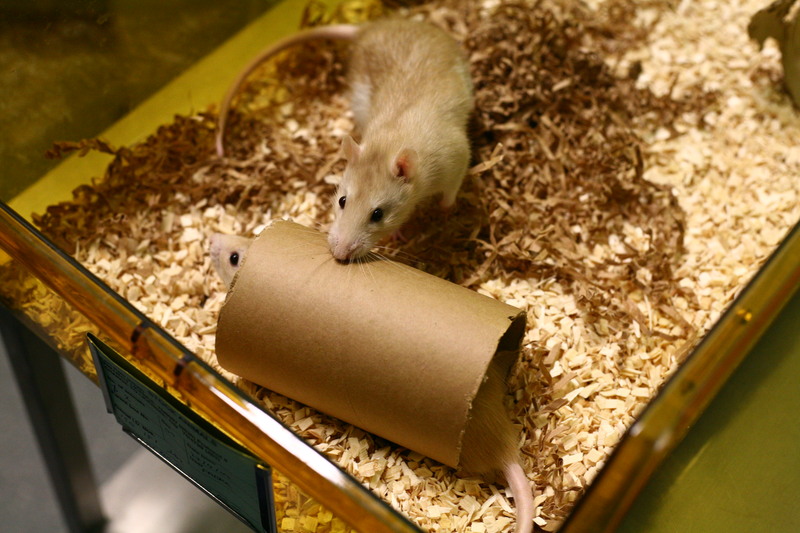 Image courtesy of Understanding Animal Research. Since the end of the year also marked the end of the first decade of the 21st century, Science also listed its insights of the decade, including “Reprogramming Cells” in its top ten. The crucial role played by animal research in making this development possible is a subject that we’ve touched on in several posts over the past few years, including discussion of the discovery and development of induced pluripotent stem (iPS) cells on the Pro-Test website here, here and here, while on the Speaking of Research website we have discussed a more recent breakthrough that allows scientists to change the role of cells of the pancreas without reverting to stem cells in the process. It is fascinating stuff, and a field in which new discoveries are constantly being made, and it’s worth remembering that the whole field of stem research was opened up by research in mice performed by pioneers such as Gail Martin, and Martin Evans and Matthew Kaufman, not to mention the earlier development of in-vitro fertilization by Gregory Pincus and Min Chueh Chang that made the embryonic stem cell culture possible. Cellular reprogramming is an excellent example of an area of biomedical research whose past, present and future relies on animal research. It’s great to see how animal research has allowed the development of an area of science that is sure to have a big impact on 21st century medicine. Finally we’ll take a look at the “Areas to Watch” in 2011 that Science has identified. One area that Science mentions is the development of vaccines that induce the production of “broadly neutralizing antibodies” which protect against many strains of the flu, such as the Acambis vaccine we discussed briefly back in 2009, but the one we’ll really be watching is the large clinical trial of the RTS,S malaria vaccine. Just over two years ago we reported that the RTS,S vaccine, the development of which relied heavily on research in mice and rabbits, had performed well in clinical trials that evaluated its ability to protect children against malaria infection. This year the results of a trial involving nearly 16,000 subjects will be announced, and if the vaccine proves as good as previous clinical trials suggest, we will soon have a very valuable new weapon against a disease which still devastates lives and saps the strength of societies in many parts of the world. The success of the RTS,S vaccine in trials so far is – as Science puts it – “not spectacular”, but it is good enough to be very useful, and while new, more powerful, vaccines are being developed, 2011 will hopefully herald a new era in preventing malaria infection. Posted on January 10, 2011 January 10, 2011 by EditorPosted in News, Science NewsTagged AAAS, American Association for the Advancement of Science, Breakthrough of the Year, cellular reprogramming, GM mice, GM rat, hiv, HIV prophylaxis, induced pluripotent stem cells, iPS, malaria, Michael J. Fox Foundation, microbicide, mouse, Parkinson's Disease, rat, SAGE labs, science magazine, stem cell, transgenic rat.